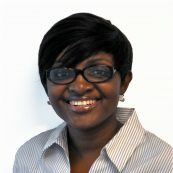 Barbara Gbologah-Quaye is the Country Director for Ghana at PYXERA Global. Barbara is responsible for building and managing partnerships in the private, public, and social sectors in Ghana. She has been responsible for establishing new growth opportunities for business locally and promoting PYXERA Global programs across its two major practice areas. Barbara has over twelve years of development experience working with small and medium enterprises in Ghana and in other West African Countries. Prior to joining PYXERA Global, she managed two USAID funded technical assistance programs in Ghana - the Africa Fast Track Trade Program (AFTT), which supported selected exports into the US market under AGOA and the Global Trade and Technology Network Program (GTN), a business linkage program connecting Ghanaian enterprises with business opportunity in over thirty countries.